What is the Trojan Horse of Sales Strategy? Business development. Filling that sales pipeline. For business owners, it is job #1, whether it is our favorite thing to do or not. What if this could become one of your favorite tasks? That’s not hyperbole – let me explain. I want you to consider the potential impact on your business if you and your team stopped the aimless prospecting — and (deep breath) paused your digital marketing budget — so you could take some time to get really clear on who you want to serve. Who are they? Have you ever sat down with your team and made a list of your Dream 25 or Dream 50 prospects? These are the companies or clients you would most like to serve — but for whatever reason — you haven’t had an at-bat just yet. A clear method for getting past all the barriers that may keep you from connecting with the decision-maker in your Dream 25 company – I have a name for this. I call it the Trojan Horse of Sales strategy. According to the legend, the Trojan War ended in a stalemate because Greece was unable to devise a strategy to circumvent the city walls of Troy. The 10-year battle ended and the Greek army made what seemed like a retreat to their homeland. The Trojan army investigated and found the beach abandoned. The Greek armada was gone and a large wooden horse was all that remained on the desolate shore. The Trojans believed the Greeks had left the horse as a peace offering. Thanks, Greeks! The Trojans gleefully accepted the offering and pulled the horse from the beach, past their impenetrable city gates, into the city square, and began to celebrate their victory over the Greeks. The Greeks seized their opportunity late that night, snuck quietly out of the horse and opened the city gates so the rest of their army could enter unopposed. The Trojan Horse of Sales is about providing your Dream 25 prospect with an experience they don’t even see as a sales pitch. Because it is not. Instead, you will be seeking to build a relationship that is architected to remove all of the friction and uncomfortableness that can sometimes creep into the sales process. You will make that person feel valued…and no longer like a prospect. Wouldn’t that be rock solid awesome for everyone involved? At the heart of the Trojan Horse of Sales is your cornerstone content. 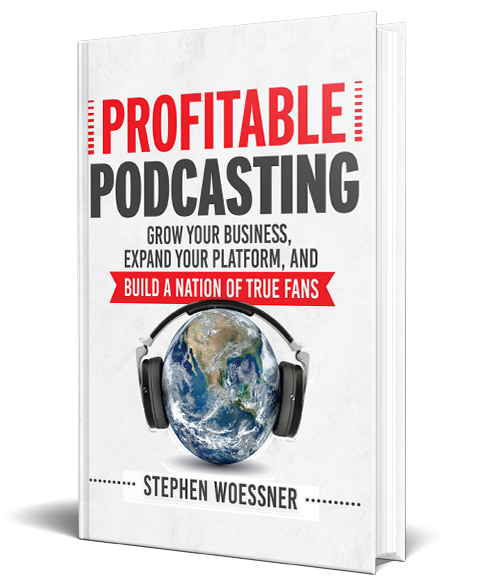 Maybe you have a popular podcast or YouTube channel – maybe a popular blog with a lot of subscribers. This is cornerstone content you can use as a Trojan Horse. Here’s how it works: You are getting in touch with one of your Dream Prospects – let’s call her Sarah Jones – because you would like to interview her about her journey, her secrets to success, and the wisdom she could share with others in her industry or the broader business community? Well now, you just changed the entire game, didn’t you? Your podcast, video interview, or article for your blog just increased the probability of a one-on-one, lengthy conversation with Sarah Jones, one of your Dream 25 ideal prospects. What does the interview do? Your offer of an interview changed the game because you are no longer perceived as a business owner looking for a new account. You are now perceived as a journalist and your show is a media channel – a conduit – to an audience, the guests on your show want to reach and influence. It’s as simple as letting the decision-maker at your dream prospect wheel the horse past the company’s gatekeeper – and park it right in the center of the C-suite. You now have an opportunity to dazzle your dream prospect with your brilliance and intimate industry and company knowledge during the interview. Your interview has done its job. Now it’s time to vanquish your enemies! No, I’m kidding. It’s time for you to do your job: Sell to Sarah! So after your interviews with your Dream 25 prospects, you share the insights and wisdom collected from your guests through research guides, eBooks, webinars, and tag your guests in social media so they can feel the love and appreciation you have for their contribution to your community. Whether you are comfortable writing articles, recording audio, or being in front of a camera — you should – without a doubt – interview each of your Dream 25 prospects. Out of that will come a solid catalog of cornerstone content that you can share to build your platform — AND — relationships you can build, nurture, and cultivate over time so your Dream 25 prospects truly KNOW you…they truly LIKE you…and most importantly…they TRUST you. After a while, an interesting thing begins to happen. You — yes, YOU as the business owner become known — you begin receiving invitations to be a guest on podcasts, you get quoted in the media, perhaps an agent or publisher approaches you to write a book, you are asked to speak at an industry conference, and on and on. I want you to see how the sales process in your business likely needs to change — and how if you put a Trojan Horse of Sales out in front of your business — and get clarity around your Dream 25 prospects — how you will improve your entire sales pipeline from end to end. What Does it Mean to Create Cornerstone Content?